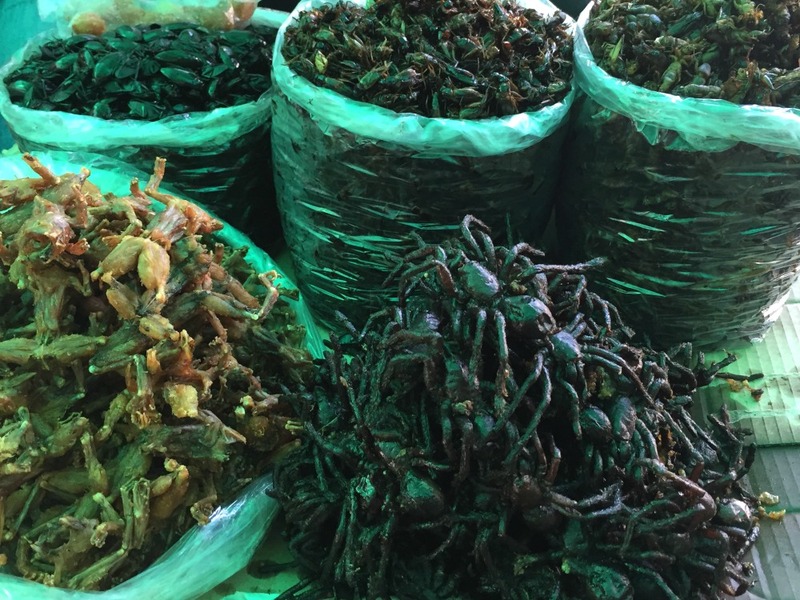 Phnom Penh offers its visitors a wide range of contrasts and experiences. Beautiful colonial architecture stands in neighbourhood to modern glass buildings. Luxury cars drive in the crowded streets next to old tuk tuk’s. Fine Dining and luxury bars are next to yummy streetfood. 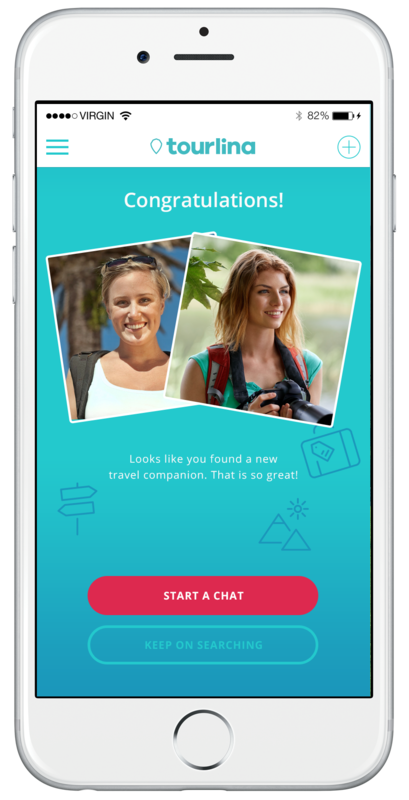 You are a woman and plan to travel solo to Cambodia? 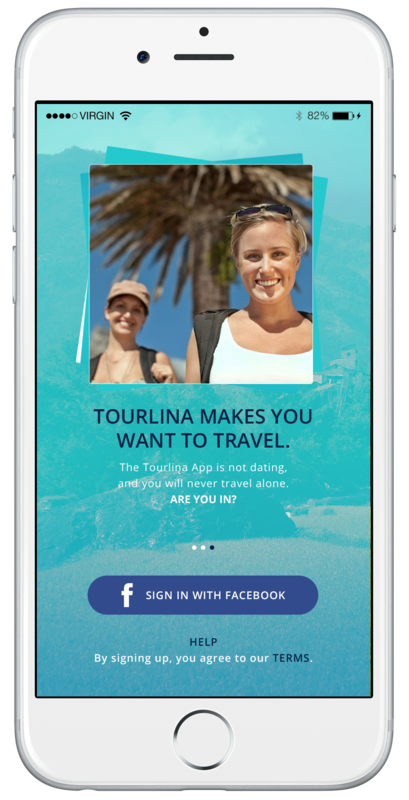 Have you checked out our tourlina app already? 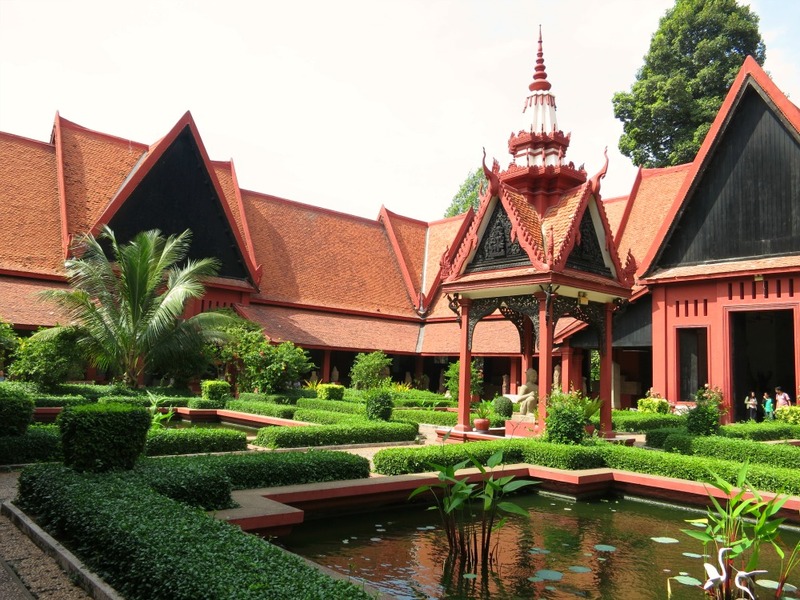 One of the city’s major tourist attractions is the National Museum of Cambodia, where visitors are treated displays of pottery and bronzes which date back over 1,500 hundred years. There is a collection of wonderful statues of Shiva from as far back as the ninth century and the whole museum is worth it just for the charming courtyard garden, there. Close by of the National Museum is the Royal Palace and Silver Pagoda, which both feature on the majority of tourists’ itineraries. 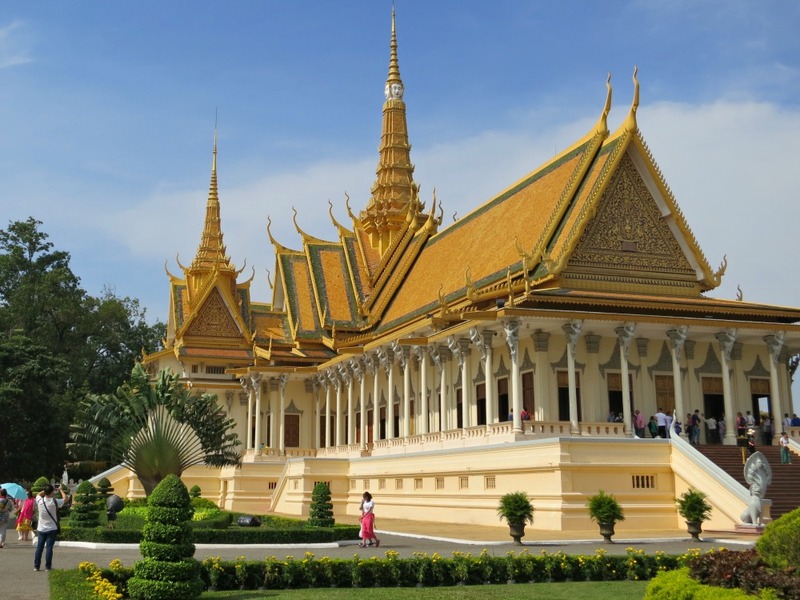 Still a royal residence, the best part of the palace and pagoda are open to the public and you can hook up with a tour which is conducted in a variety of languages. 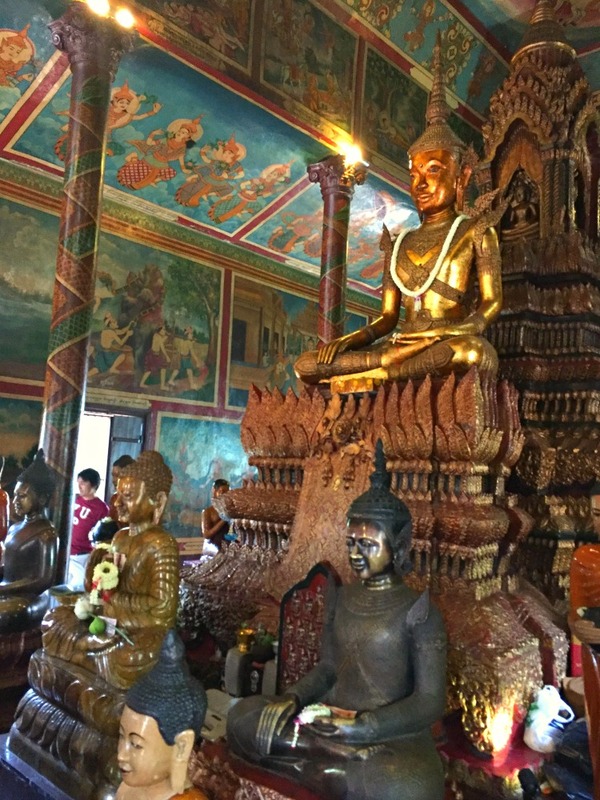 Wat Phnom is a well known bhuddist temple at the only hill of the city from 14th century, which has given Phnom Penh it’s name. 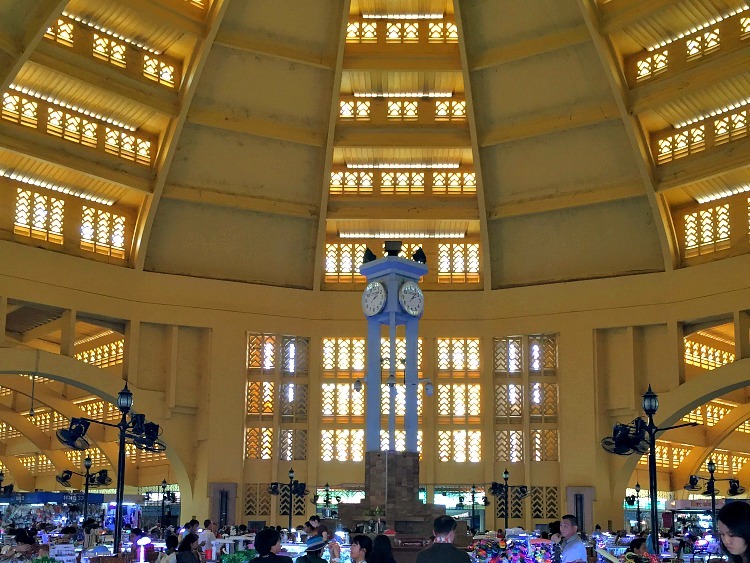 Constructed in 1935, the wonderful central market, or Phsar Thmei, is well worth seeking out, too. 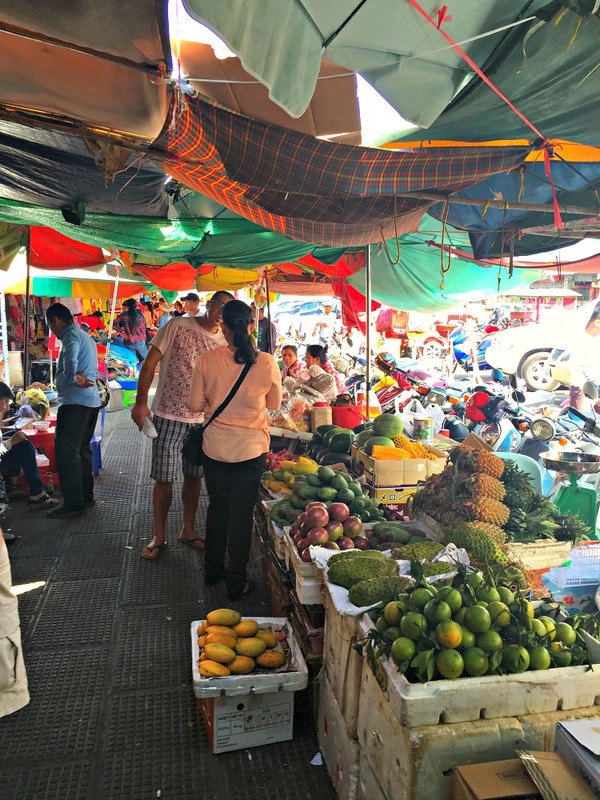 The market was built in the Art Deco style. Inside the market hall you’ll find all kind of juwelry. Are you looking for a tour operator for Cambodia? 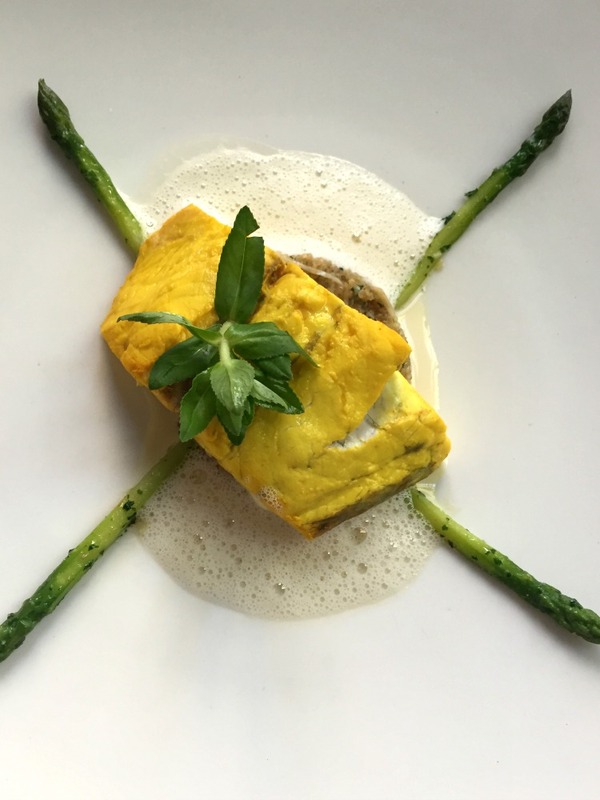 The Cambodian top address for fine French Cuisine is Van’s Restaurant. The Business Lunch at Van’s seems to be one of the best kept culinary secrets, starting from USD 15! The riverfront area is full of bars and can be found easily from the Royal Palace. Here, visitors can expect a mix of cafes, restaurants, busy bars and souvenir shops. 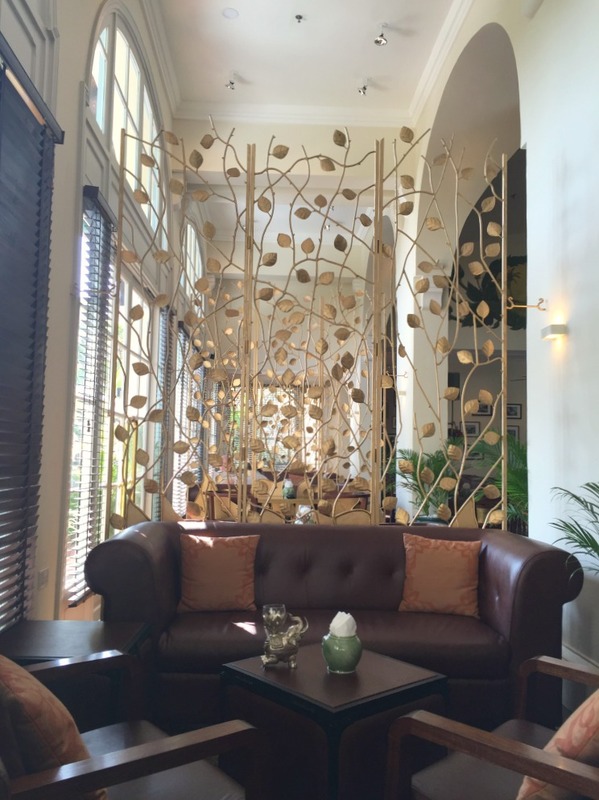 The Elephant Bar at Raffles Hotel offers the style of the colonial era. 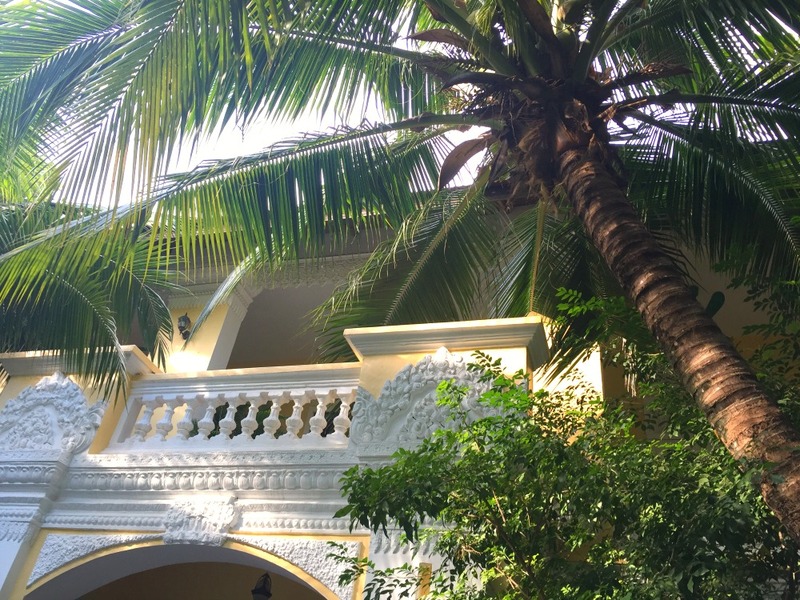 Perhaps one of Phnom Penh’s most stylish bars, it has been operating for over eight years and is the perfect place for pre-dinner cocktails with a travel companion whilst watching the sun go down. 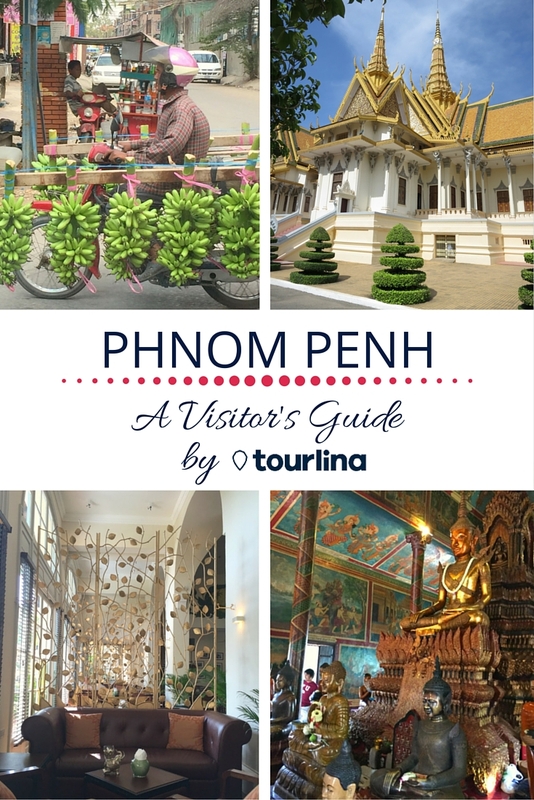 Like many other cities in south east Asia, Phnom Penh is a safe place to visit and explore, but it can often feel more comfortable if you choose to discover it with a female travel companion. 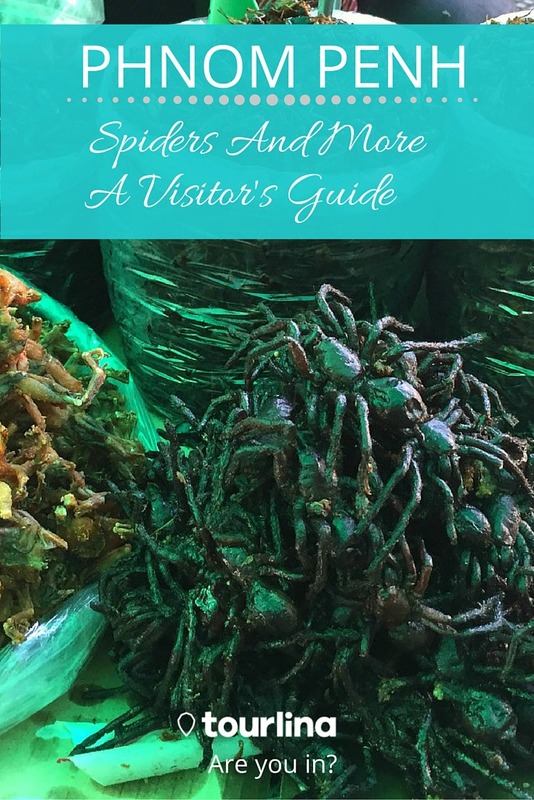 Generally speaking, the city is busy but the inhabitants are friendly and welcoming of visitors. 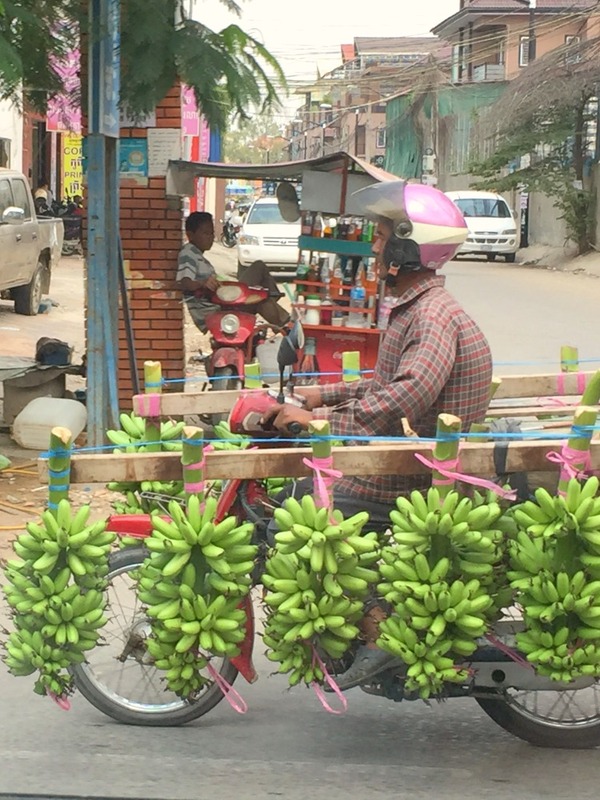 Navigating around the capital of Cambodia is simple enough, whether or not you have a travel companion with you, because all of the north-south streets are given odd numbers whilst the east-west ones are designated even. The higher the street’s number, the further west or south you are heading. Like much of Cambodia, catching a tuk-tuk is one of the simplest ways of getting between locations, although it is advisable to settle on a price for the journey before you start rather than at the end. Taxis tend to be only available in the most famous tourist destinations, but are clean and comfortable. When walking around, the city does have a problem with bag snatching, but this is usually overcome by simply taking care with your belongings. However, crossing the road can be tricky, so make sure you look both ways before stepping out, even if the traffic signals indicate you have the right of way! To travel solo doesn’t mean to stay alone.